The central nervous system (CNS) is comprised of the brain and spinal cord. 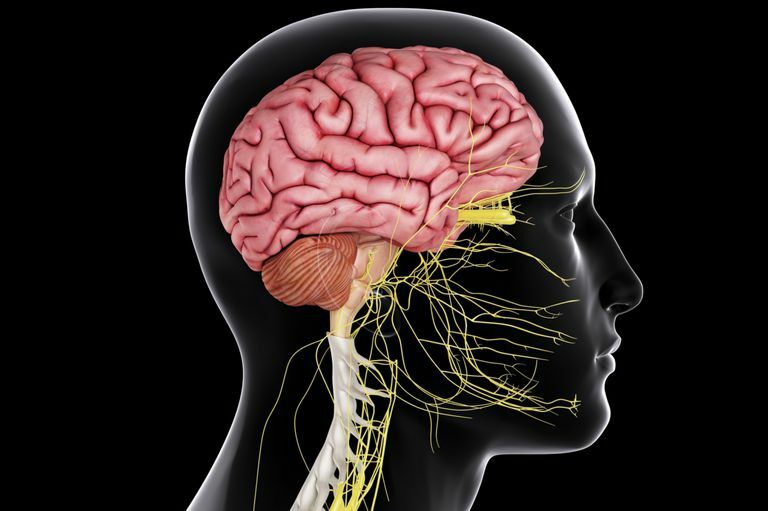 The CNS receives sensory information from the nervous system and controls the body's responses. The CNS is differentiated from the peripheral nervous system, which involves all of the nerves outside of the brain and spinal cord that carry messages to the CNS. The central nervous system is named as such because it plays the primary role in receiving information from various areas of the body and then coordinating this activity to produce the body's responses. Let's start by taking a closer look at the main components of the CNS. The brain controls many of the body's functions including sensation, thought, movement, awareness, and memory. The spinal cord connects to the brain via the brain stem and then runs down through the spinal canal located inside the vertebra. The spinal cord carries information from various parts of the body to and from the brain. In the case of some reflex movements, responses are controlled by spinal pathways without involvement from the brain. Neurons are the building blocks of the central nervous system. Billions of these nerve cells can be found throughout the body and communicate with one another to produces physical responses and actions. An estimated 86 billion neurons can be found in the brain alone! Since the CNS is so important, it is protected by a number of structures. First, the entire CNS is enclosed in bone. The brain is protected by the skull while the spinal cord is protected by the vertebra of the spinal column. The brain and spinal cord are both covered with a protective tissue known as meninges. The entire CNS is also immersed in a substance known as cerebrospinal fluid, which forms a chemical environment to allow nerve fibers to transmit information effectively as well as offering yet another layer of protection from potential damage. The surface of the brain is known as the cerebral cortex. The surface of the cortex appears bumpy thanks to the grooves and folds of the tissue. Each groove is known as a sulcus while each bump is known as a gyrus. The largest part of the brain is known as the cerebrum and is responsible for things such as memory, speech, voluntary behaviors, and thought. The cerebrum is divided into two hemispheres, a right hemisphere, and a left hemisphere. The brain's right hemisphere controls movements on the body's left side, while the left hemisphere controls movements on the body's right side. While some functions do tend to be lateralized, this does not suggest that they are "left brained" or "right brained" thinkers, as the old myth implies. Some brain functions tend to be lateralized, but both sides of the brain work together to produce various functions. The frontal lobes are associated with higher cognition, voluntary movements, and language. The parietal lobes are associated with processing sensory information. The temporal lobes are associated with hearing and interpreting sounds as well as the formation of memories. The occipital lobes are associated with visual processes.